Thanks for this! I have been reading all of your interviews and other posts about the book. I love that each one is different and reveals something else about the book. I also loved learning that you two met on twitter! Julia, I come to Maine 3-4 times each year. I visit North Berwick and Bar Harbor. Our girls visit Frye Island during the summers with their mom. I loved this post. My new novel is set in Maine and so, as you might imagine, it was of particular interest to me! 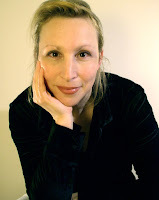 I, too, had certain misgivings about setting the story there for the very reasons you identify, Erika – people think they already know the place, and it can be a struggle to identify new and compelling things to write about, or a fresh perspective. But in the end I found I couldn’t not. I have only been to Maine a couple of times, but (as you both know!) the place has sunk its teeth deep into me. Unfortunately, I don’t have the advantage of having spent much time there (yet!) and so I don’t have such invaluable insider knowledge. Instead I am having to rely on an ever-increasing library of books, and visits back whenever I can manage. And you’re absolutely right – it’s the little details that make a difference. That’s why on my trips there I go into sponge-like mode, absorbing everything I can. Erika, I am deep into your book, by the way, and greedily relishing every page. It’s a fabulous story. I am bewitched. I enjoy making my settings amalgamations of places I know. They’re identifiable — and not. The small town I’m writing about now is a mix of Mayberry (from the TV show) and the town where I live, mixed with pictures that I found on the internet of lakes in central Ohio (where the book is set). I like writing places that I both wish I lived — and am glad I don’t. Does that make sense? I try to push the limits sometimes with stereotypes both for ridiculousness and comfort — because stereotypes can be both ridiculous and familiar. Great post — thank you. And now I must have a Needham. Must. When I think of setting, I’m always drawn to the Dust Bowl of Steinbeck or Yoknapatawpha County of Faulkner. They are places that become ingrained in your memory as if you had been there. These are some great points to making your setting become another character in the story: use all of your senses and visit a place as if it was the first time. Yes, thanks for hosting Erika, Julia! You’re so supportive. Erika, I love that you chose to write about place as character. I often think we stop ‘seeing’ anywhere we live for long, with the eyes of a stranger to the area, and so it can be fun when someone visits, to show them around ‘like a tourist’. It can bring a freshness to our vision. You obviously adore Maine (so do I…many wonderful vacations spent there) and I’m certain that is reflected in your novel. What a great piece, Erika. I think your advice about setting, to “make it yours,” really applies to so many aspects of novel writing. It’s good advice for new and veteran writers alike. Julia, thanks for providing a forum for Erika to share her insights! Congratulations on your debut novel, Erika! I adore the title and the image on the cover. And your post has made me want to read it. I love how your post also gave me lessons in setting right when I needed some reminders. (I’m about to start rewriting a screenplay.) The lessons were so easy to take in because the writing itself was so delightful. You made me feel, hear, smell and taste Maine. I’ve never been there, but through your writing I felt I knew it. P.S. Thanks for the giveaway! I want to read your book so I’m keeping my fingers crossed. Hi Erika (and Julia), I really enjoyed reading this interview. I saw the cover of your book, Erika, a week or so ago (via Julia) and love it! I always find it fascinating to hear about different writers’ methods. You are so right about making your work ‘yours’ and giving it authenticity while making it speak out in a different way too. I have a strong visual memory for detail, so I just close my eyes and I can ‘see’ in an undisturbed, uncluttered way, exactly what I want to see. I find this helps no end when writing about place or trying to set a scene. Really good luck with the book – it looks fab! Hi everyone! Thank you so much for all the outpouring of kind words–and thank you again, Julia, for hosting me here. Missy, I love how many of us have a connection to Maine, if not from growing up there, then certainly from visiting. Ashlee, thank you so much for coming by and I look forward to your visit. And I have such envy for YOUR homeplace. My husband and I have wanted to visit Australia forever. It’s lovely meeting you! Alex, to have one’s book bewitch its reader is pretty much the best compliment going, so thank you, kind sir. I know how anxious you are to get back to Maine–did you take lots of pics while you were there to keep the flavor fresh when you returned, since you are still writing your new novel? Lots of notes? I love hearing how writers keep the essence of a setting even when they come back from their research trip. Photos always help me. Oh Amy, needhams are incredible. But I am beginning to worry they are not as easily found in Maine as they were when I grew up there. I’m heading to the big board to get some answers. This is urgent. Rosie, thank you for those kind words. I’m so glad you enjoyed it! Hi Sara, Eden Lake is on my TBR list. I have heard great, great things. Cynthia–isn’t it true? I remember when I lived in NYC, I so loved when people would come to visit–because it was an excuse, an opportunity, to rediscover what I loved about the city, which sometimes gets lost in the day-to-day grind. Milli, thank you for your sweet words. And so glad they helped. A screenplay–how exciting! Hi Abi–thank you! And you are so lucky that you have a knack for retaining details the way you do, uncluttered and clear. I think that’s why I rely so much on photographs in my research, because I often find my brain is too easily overloaded with details and I know I don’t want to lose a single one because those details make all the difference. Absolutely LOVE this post, Erika and Julia. Setting is something near and dear to my heart (and so important to me in the fiction I read). I agree so much with all you’ve said: “Setting is as much a character in a novel as the people who populate it.” Yes! And, you’re so right – using your own eyes/experiences is truly the key to avoiding cookie-cutter, ho-hum, cliched description in any setting, but esp. with well-known geographic regions. Seeing your setting as an outsider is also such a great way to infuse a new take on the familiar (and -yay -something I have done without even knowing in my current WIP). Again – love, love, love this post. 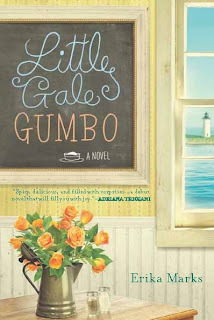 Can’t wait to read LITTLE GALE GUMBO, and to visit Maine in the flesh. The two of you have done such a great job of selling it, that a trip is definitely in my future! Thanks for such a great guest post! The book sounds wonderful and I’m always looking for a fabulous new book to read! I’m heading over to check out Erika on her site too. Erika – Congratulations on your book! I can only imagine how thrilled you must be! I like the way you re-discovered describing a familiar place. I have the same difficulties with my blog (which is strictly cooking). I frequently write that something smells good, but fail to describe the smell…. ….you’ve given me a lot to think about! How wonderful that you and Julia know each other via the landscape! She’s the best, isn’t she? I’ve been a fan of Julia’s blog since the day I first posted. In fact, I think she might have been the first “blog” I ever read…..and I’ve been hooked ever since! I look forward to reading the book, Erika! Maine is one of the few states I have not visited. I will get there someday and feel the beauty from the pictures and words you and Julia share. Congratulations on the book! Oh, but how I still love them as my own! Thank you, Leah! It’s really special getting to be a guest on Julia’s blog. And so amazing how we met on Twitter! Ann, your blog sounds right up my alley. I will have to visit! Hi Nina! You always have such fantastic advice for writers so I’m flattered by the compliment. And I feel the same way about Twitter connections. Especially when it’s someone who is from the same part of the world as I am–and we meet–not at the post office or the supermarket–but on Twitter. Just so wild. Thank you Erika for sharing some powerful information about writing. This is the kind of post I enjoy, were I learn something new. Many thanks! This is such a wonderful post. I think it was novelist Stephanie Cowell who once said that as writers we need to show our readers where to look. Your words expand on that sentiment and are well applied in Little Gale Gumbo, which I loved! You certainly inspired me to want to visit Maine and New Orleans. I wish you all the best with your launch! It’s funny; I feel the same way about Miami, since my book is set there. It’s also a popular setting (though more in movies and TV than in books) and my challenge was showing a Miami that people aren’t so familiar with, but that is closer to reality. It’s not just about neon lights, perfectly bronzed bodies and thongs. The Miami I grew up in is totally different, so I hope that I managed to make it mine! This book sounds great. I loved Erika’s advice on taking a setting and making it your own. I mostly write nonfiction articles but I think reading and paying close attention to fiction makes me a better writer in general. Lately I have been really drawn to books with a strong setting. A recent favorite was in Cape Cod and another was Bainbridge Island. I just love the way a book can transport you to another place, including one you have never actually seen. I agree that it is the little subtleties that make a location convincing. Thanks for sharing! GUILTY! I have found when I went back to read my first draft of my novel, which takes place in Chicago (another popular setting for movies & books), lo and behold, I described things the way a tourist would, vs. the way a real true-blue, native Chicagoan would do. I fell into the lazy writing mode. You offer some great and applicable tips and things to be cognizant of here, so thank you! 🙂 Can’t wait to read the book! Some of my favoritest bloggers are from Maine, and with this post and your blog, I want to visit even more! I just watched Delores Claiborne, which made me curious as to whether or not they did Maine good in regards to accents. Great post!! Another fantastic interview with Erika! One thing I love about reading is the opportunity to see in my minds eye a new place. Then nothing is more fun then going and getting to experience it yourself! So to answer your question I am visual. If I read it–I see it. If I write it–I see it. I’d love to win and read Little Gale Gumbo. I’ve never been to Maine, but would love to. I did live in Newport, RI for a year and loved it!!! Elizabeth–I’m so glad to hear it–and thank you so much for saying so! Natalia, I look forward to getting to read YOUR Miami. My father’s father was from there and my dad ALWAYS talks about the Miami he knew as a kid–now all of his family has retired there–but he can’t get over how the city has changed. Miami has such a rich history and influences–and so much character and wonderful neighborhoods–far from all the cookie-cutter developments. I love that city!! Thank you, Sally! And the Cape is another one of those amazing settings. I always enjoy books set there–and always look forward to unique descriptions of the landscape since it is another one of those locations that we all “feel” like we know, even if we’ve never been before. Oh, thank you, Barb–Chicago is amazing. I was lucky enough to live within a few hours of there a few years ago and visited often. I adored that place. Actually my next book has a tie to Chicago and I’ve been working hard to make the settings/neighborhoods convincing. It’s a unique perspective to write about a place where I WAS a tourist. I know how important it is that I make it authentic. Thank you again to Erika for writing this lovely guest post for my blog!! I loved hosting her! Yesterday, I used random.org to select the winner of Erika’s book: LITTLE GALE GUMBO. And the lucky winner was Jessica McCann! Missy, You’re so lucky to get to Bar Harbor — lovely place! 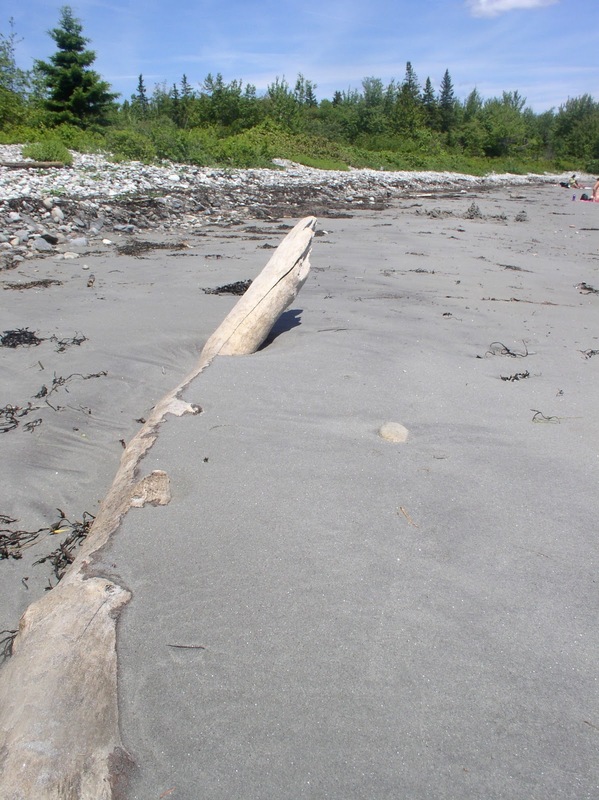 I’ve never been to Frye Island (would love to go!). Summer must be amazing there! Ashlee, Glad you can visit Maine through my (and Erika’s) writing — I think her book would give you a good look at Maine Island life! Jackie, My pleasure to host Erika! Glad you enjoyed the post! Cynthia, You’re so welcome, glad you enjoyed! Jessica, CONGRATULATIONS on winning a copy of LITTLE GALE GUMBO!! Nina, Meeting Erika on Twitter has been wonderful! Such fun to share the same location through our own individual experiences! Badluckdetective, Glad to give you a taste of Maine before you make it here in person! Country Wife, I need to find your favorite bloggers in Maine! Believe it or not, I’ve never met another blogger here!! 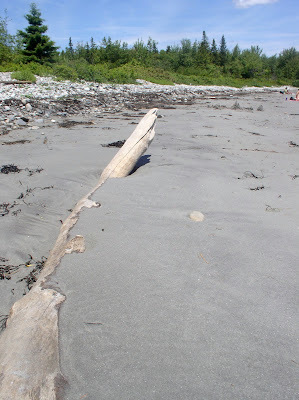 THANK YOU all who left comments & please read Erika’s book — then come on back to wordsxo for a taste of Maine! I think it will help you get to know this state a little better!